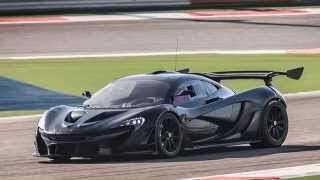 At the 2015 Geneva Motor Show the McLaren people unveiled their all new highly efficient P1 GTR 2015. The model in no doubts one of the fastest under the McLaren badge. For this all new McLaren P1 GTR 2015 instead of portraying its benchmarks here, we would rather prefer to bring it under different sequential headings, covering all the aspects and features. After all we are talking about the street legal P1 GTR 2015 here. So let’s not delay and have a sneak into this new release. The interior of McLaren P1 GTR is a track focused, driver oriented interior. The first thing to notice soon after entering the P1 GTR 2015 is its steering wheel. Mounted with all necessary controls it makes it very easy for the driver to concentrate on track while all controls are just a tap away from his fingers. The same unit is also equipped with the DRS and IPAS buttons, yes just like the company’s MP4-23 Formula One Car, both these buttons can be well accessed with the race gloves on. The model comes with DTM-Style seats availing six-point harnesses. 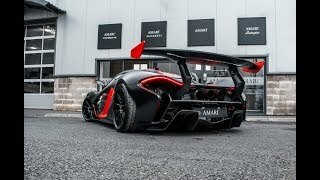 In all entire interior is stylish, sporty, driver oriented and due to its lightweight structure contributes commendably to the entire performance of the McLaren P1 GTR. 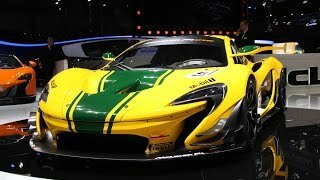 Entire exterior of McLaren P1 GTR is race-inspired. Let us begin with the front; standard pieces have been replaced by all new bumper and larger splitter while the reshaped headlamps add commendably to the glory of exterior. The aggressive front wheel arches gets adjoined by an additional aerodynamic blade. The side skirts too have been revised adoring a new side panel at rear fulfilling the duo purposes of cooling and aerodynamics. Taking a look at the rear we would say the back is more attractive than the front, especially the fixed wing which is almost covering the entire back with almost as high as the roofline. 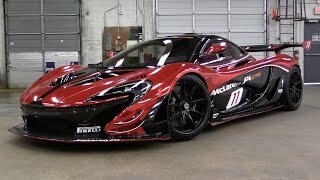 Need to be mentioned followed by series of accolades is the fact that the entire structure of P1 GTR 2015 weighs just 90 Kg, this includes everything in between the roof till battery. 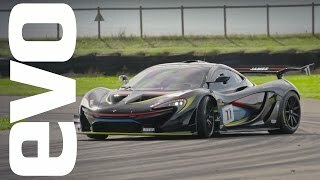 The McLaren P1 GTR gets its power through 3.8 Liter V8 engine and an electric motor. Both of these combined enthrall the driver with whooping 986 horsepowers and taking the P1 GTR at an estimated top speed of 225 mph while the sprint of 0-60 mph gets covered in just 2.4 seconds.